Getting Ready for Winter with Bioheat Fuel! “Expect the unexpected” is a smart motto when it comes to winter weather. As it gets colder, you need to be sure your heating system is ready to keep you and your family warm. You might be thinking, “Winter? Summer just ended”. The fact is, now is the perfect time to start thinking about options to heat your home. Consumers all over the country have more options than ever when it comes to heating their home thanks to Bioheat® fuel! Bioheat® fuel is a blend of regularly heating oil with renewable biodiesel. It is safer, cleaner, reduces greenhouse gas emissions, and promotes better air quality! Plus, Bioheat is produced right here in the USA, creating more jobs here at home! 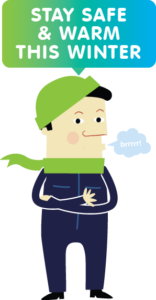 Plus, there are no modifications needed to your existing heating unit! When it comes to an energy revolution, Bioheat puts oilheat homeowners at the forefront! Listen to our radio commercial on choosing the best heating option this winter!